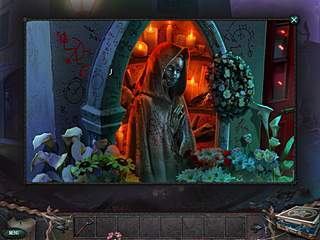 Here is another game in the hidden object/adventure genre about some paranormal, supernatural activity. Paranormal Crime Investigations: Brotherhood of the Crescent Snake's story is bloody and creepy, and the game is challenging and beautiful. There is a lot to enjoy as long as you don't mind all the darknes of the story. The audio-visual presentation of the game is pretty decent. You play as a detective that is very skillful in the area of paranormal cases. A number of murders have happened in a city and the police is stuck. So you are the one to deal with it. You start by arriving to a crime scene and investigating the body and the area. Soon you realize that there is a local cult involved into that. Then you know that they are going to summon their kind of god, and you are not to let that happen too. The game has three kinds of activities to offer. First off, you will play many hidden object levels. The items are not spread that carefully across the scenes, but they are not randomly cluttered either. Someitmes the required items are hidden way too well. Tere is a rechargable hintsystem for those cases. There are also different kinds of puzzles that fit into the story and general quest. It is good to have them and play for a change. But they get skipable after a little while. You will spend a lot of time walking from one place to another and meet different characters and interact with them. As a great fan of the voiced dialogues in the games, I wish it had voice-overs. It would earn the 6th star. 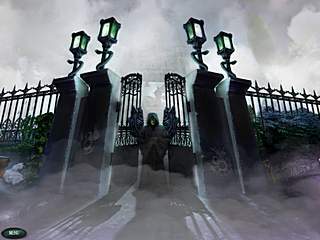 The visual affects mixed together with music and sounds create a perfectly spooky atmosphere. The characters and scenes are detailed enough. One other thing that makes it a pleasure to play is how the story unfolds before you. You don't get what's going on right away, but rather put together the clues. 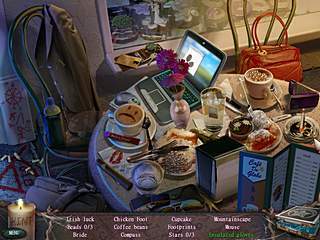 The game is full of everything to make it a great one for the hidden object/adventure fans. , there's the least common detinomanor between the C64 and the Amstrad sprites. It's also perhaps too easy.The NES and CPC versions lose in terms of smoothness and, especially the NES version, in terms of replicating the arcade experience. It's also even easier than the Commodore 64 version, which makes a game one can complete on day one never a good thing.The Atari 2600 version is a surprise; while the three versions above (and the one to be mentioned next) don't take advantage of what any of the systems can do (not even close, in fact; they're all pretty lazy ports, IMO), a game such as that 2600 port shouldn't even be possible on such a puny system. In other words: it's breathtaking in technical terms; remember that we're talking about a console from 1978 which usually had much more basic, single-screen games. So, kudos to this port for going (far) above and beyond the call of duty.The worst version, among those I know? It has to be the one this post is about: the ZX Spectrum version, for the reasons noted in the post. Again, note that this isn't a case of being the most limited system (it isn't); the Speccy is capable of much better. Take a look at the pretty decent scrolling link in the post to see what I mean. This is Paranormal Crime Investigations CE review. Download this game here.